One thing you don't think about when you think about planet is that they could come in designer colors. You know that Earth is blue and Mars red. But could planets be any color? 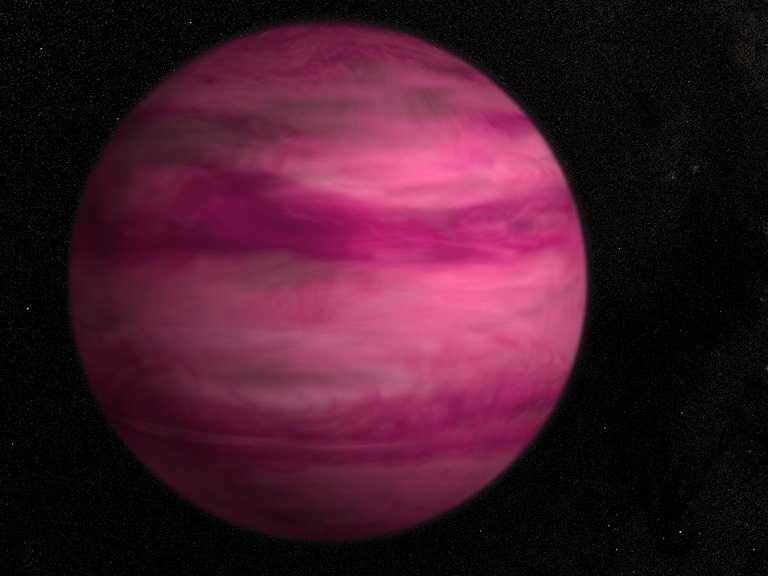 Scientists just discovered a pink planet, trending toward magenta. It's absolutely gorgeous -- the artist's conception, anyway -- and while there's no way we could travel there, it's just cool to know that it exists. But it really should be a star, this planet -- let me rephrase -- this planet ought to be famous; it ought to be on t-shirts and billboards and advertising campaigns. The Pink Planet! It's proof that nature is weird. Nature has all kinds of things to do -- spiraling, exploding, colliding -- and it takes time out to add a splash of color. It's as though Sherman, marching through the South, stopped to plant a geranium. Of course it doesn't work like that, the Universe is brainless. But. The Pink Planet could attract more young girls to study space. That may sound sexist, but, honestly, the only thing kindergarten girls care about is the pinkness of an object. They'd eat mud if you added pink food coloring. And if space turns out to be, not just larger and colder than we once thought, but pinker? What a wonderful world that would be.